The incinerators manufactured by Pennram are in compliance with many U.S. EPA & EU regulations, meet World Bank emission standards and conform to DOD baseline environmental rules. systems manufactured by Pennram & its APC partners meet and exceed the most stringent U.S. EPA or European Union environmental regulations. 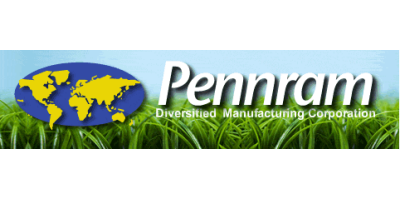 Pennram's past success with satisfied customers is our best sales tool. We employ no sales force, but are represented by a global network of distributors. 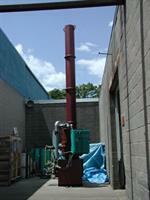 Industrial and commercial incinerator customers from around the world are using Pennram systems with different applications and in varying environments. Many are repeat customers. Pennram is prized for its total in-house capability for incinerator design, fabrication, shop-testing, and ocean packaging of complete incineration systems including state-of-the-art instrumentation and control systems to assure trouble-free installation and operation. Pennram has an excellent service record of assisting customer in coping with their changing needs. We provide overland and ocean freight services and on site factory installation services to insure the job is done right. To meet the needs of customers, Pennram also provides specially designed incineration equipment components for upgrading/revamping of their existing incinerators. No reviews were found for Pennram - Model M17S - Industrial and Commercial Incinerators. Be the first to review!